Developing collaboration between the private sector and the university’s robust innovation community. 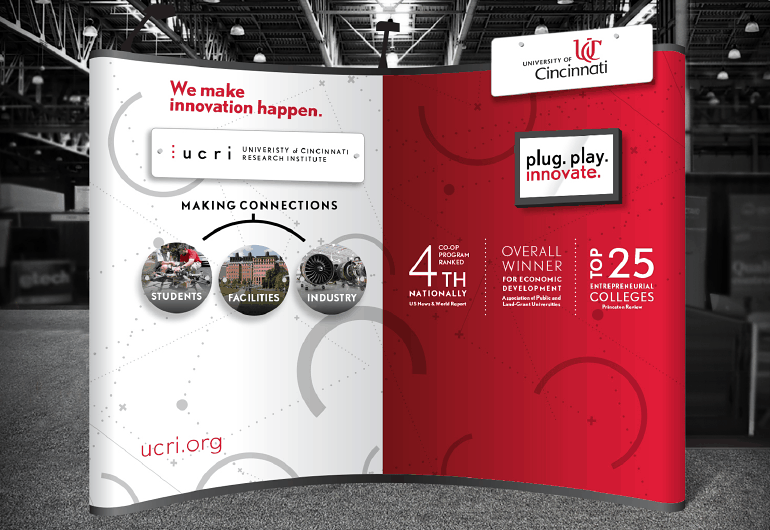 Communicate the unique structure and culture of UCRI to two different and distinct audiences. Development of a messaging platform – “plug. play. 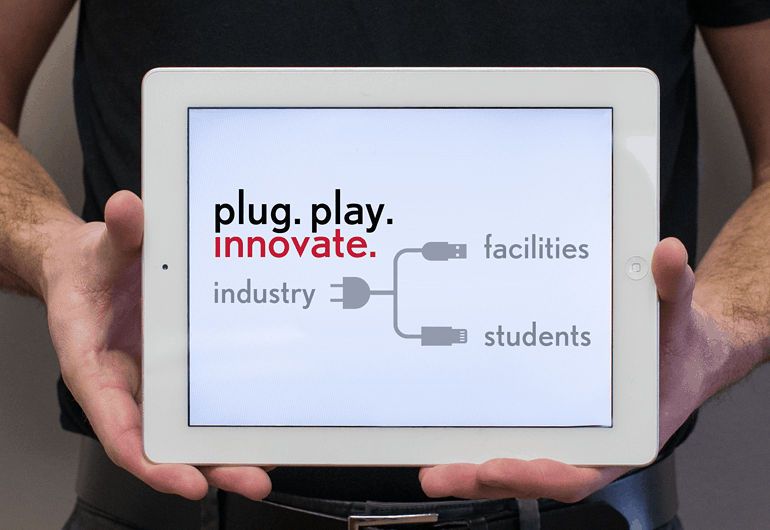 innovate.” – that underscores the center’s focused efforts to streamline the innovation process. 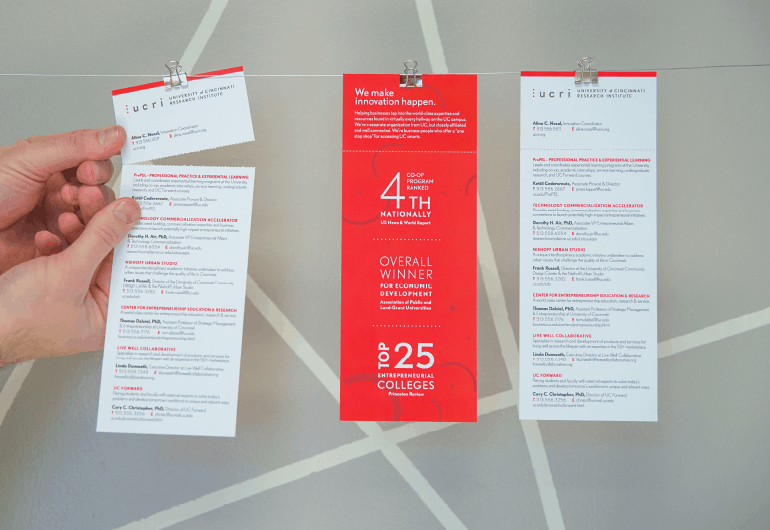 Design of trade booth, interactive video presentation, and workhorse print collateral.